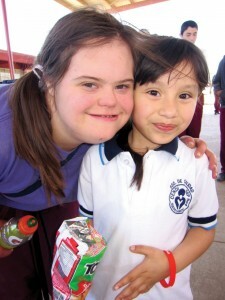 Sarah ministers in Mexico at a local school. On his final journey toward Jerusalem, Jesus and his disciples had left Capernaum and were crossing into the region of Judea. As they entered a village, parents started bringing their children to Jesus, asking Him to lay hands on them and bless them. The Bible doesn’t say why the disciples got upset, but they began to rebuke the parents for bothering Jesus with their children. I assume they thought these children were too small to learn theological truths from such a great rabbi as Jesus. Or maybe they were afraid one of the children would drool all over the front of his pressed, starched, and straight–from-the-cleaner’s white robe. I don’t know their reasons, but they didn’t know the heart of the Savior. I am amazed how Jesus takes an incident like this and turns it around for a great purpose. “People were also bringing babies to Jesus for Him to place His hands on them. When the disciples saw this, they rebuked them. But Jesus called the children to Him and said, ‘Let the little children come to Me, and do not hinder them, for the Kingdom of God belongs to such as these. Truly I tell you, anyone who will not receive the Kingdom of God like a little child will never enter it.’” (Luke 18:15-17). Yes, even the disciples, with all of their knowledge from the Master, couldn’t boil His message down to its simplest terms. We all come to Jesus with childlike faith. I have an incredible friend who loves Jesus as deeply and purely as anyone I know. Jesus told her go and tell others about Him, so she wants to be a missionary. This week, along with 41 other missionaries, my young friend Sarah went on her first mission trip to Nuevo Laredo, Mexico. I met this young lady at our church several years ago. She calls me, “Cathy’s dad.” Now, Cathy is my wife, but I guess to Sarah, I look old enough to be her dad. Some Sundays, she comes to sit beside us in church. Sarah loves to sing, especially songs about Jesus. I have often seen her during worship services with her hands raised high as she shuts out the world and focuses on Him. When it’s time for the sermon, she opens her Bible and listens intently, writing out the Scripture passage being taught. When the pastor asks the congregation for a response, she is often the only one who will answer him. This week, Sarah and her team went out each day and presented the Gospel through chronological Bible storying. She learned the role of one of the “People of the Land,” who represent you and me. The People of the Land respond to what Christ did for us. When we started training, Sarah didn’t like her part, because some of the People of the Land crucify Christ and reject Him. She couldn’t understand why anyone would reject Jesus. Such simple faith: Jesus said it, I will do it, end of discussion. 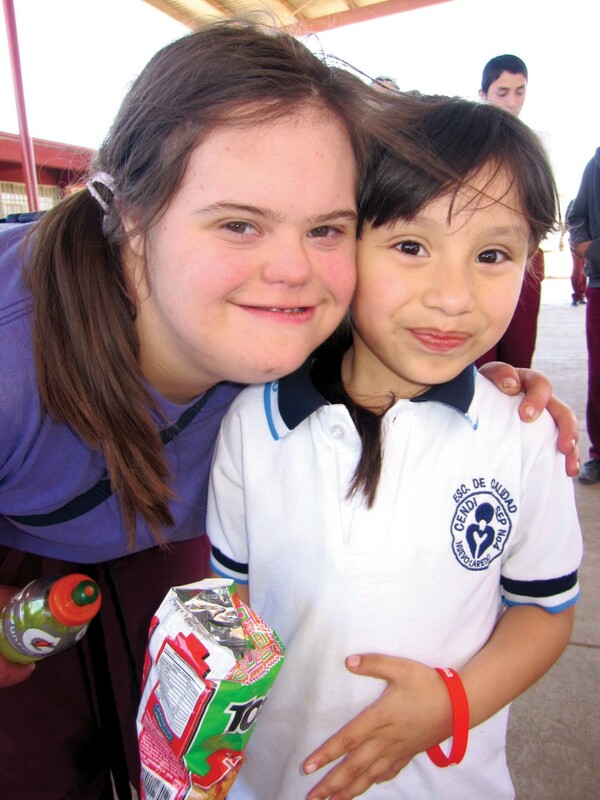 You see, my friend Sarah has been labeled by the world as a person with Down Syndrome. Long ago, Sarah’s parents brought her to Jesus and dedicated her life to be used by Him. I don’t imagine they would have guessed that one day, she would be a missionary in Mexico. I was glad none of the disciples were on this trip, or they might have tried to keep her from following her Master. Sarah’s dad went along, though, and got to see her stand in Mexico with a microphone, proclaiming to a watching crowd that Jesus loves them. I wish more parents who are believers would understand how much Jesus wants us to bring our children to Him. He gave us the gift of our children, and we are to give them back to Him to use any way He desires. In the end, the original disciples, my friend Sarah, and each one of us all come to Him in simple, childlike faith. And to this day, Jesus is never bothered when you bring your child … to Him.